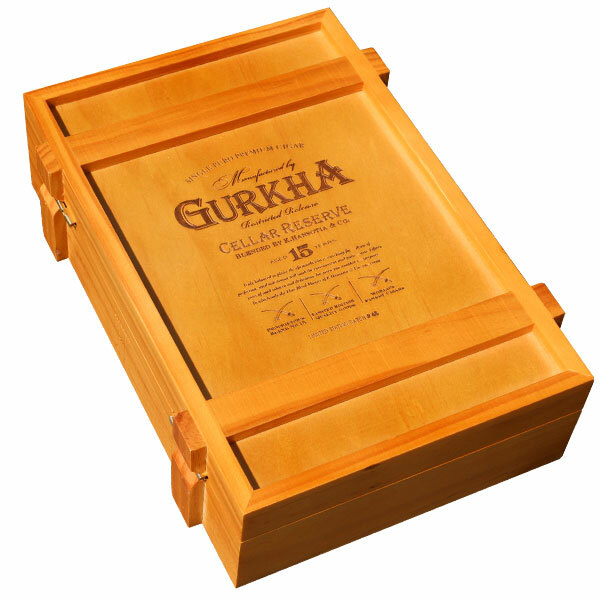 Gurkha Cigars unveiled the Cellar Reserve in 2011, kicking off one of the brand’s most successful and sought-after series to date. For this premium blend, CEO Kaizad Hansotia set his sights on vintage tobaccos. As such, Cellar Reserve borrows inspiration from aged wine—which incorporates many of the same principals and benefits of fine cigar aging. The cigars arrive packaged in wine crate boxes, displaying twenty cigars containing vintage tobaccos. The bands showcase a label similar to what you’d find on an aged wine, displaying blending and aging information, among other intricate details. But it’s the cigars themselves that are most impressive (as it should be! )—offered in five sizes, with most showcasing elaborate figurado vitolas and bun/pigtail caps. The blend begins with an oily Criollo ’98 wrapper, secured over an aged Dominican olor binder, and finished with the cigar’s most notable ingredient: vintage, 15-year-aged Dominican filler tobacco! The final product is among Gurkha’s finest, displaying rich and medium-to-full-bodied notes of caramel, coffee, nutmeg, cedar, and aged tobacco.